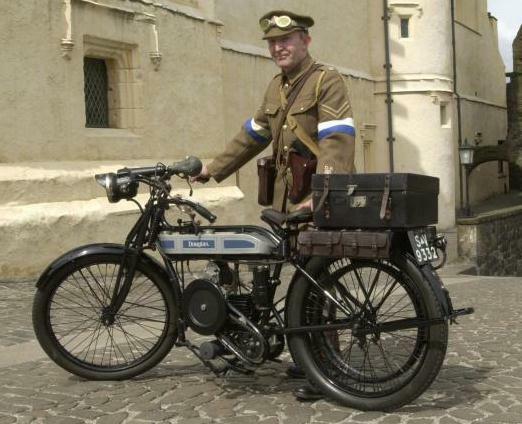 If you have purchased, or are thinking of buying, kit TW54E01, a 54mm (1/32 scale) Douglas Motorcycle, as used in the Great War, here you will find tips and techniques to help you build the model kit. It is a very small and complex kit, cast in resin and requiring some clean-up and a lot of assembly, so I would really only recommend the kit to experienced modellers. It goes without saying that when dealing with resin always use caution, work in a well ventilated room, always wash hands after working and be very careful when using any sort of craft knife. 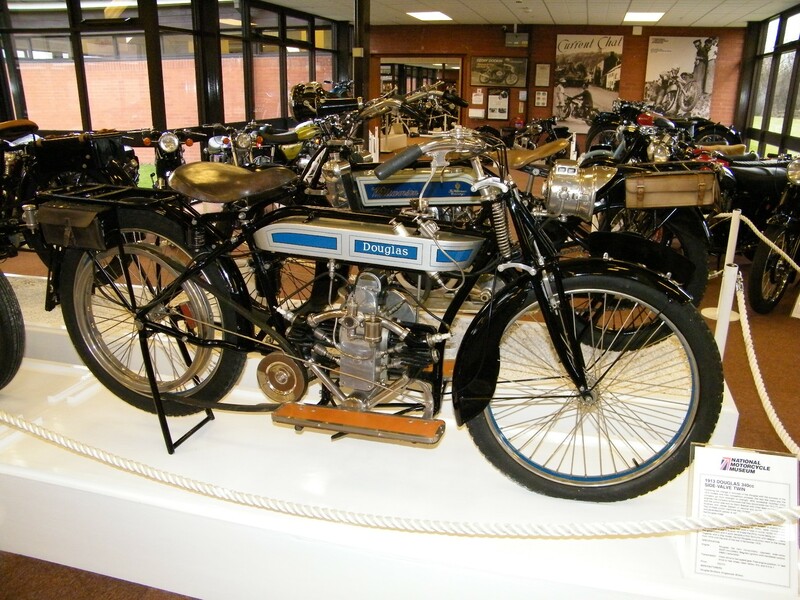 Brothers William and Edward Douglas formed the Douglas Engineering Company in Bristol in 1882. 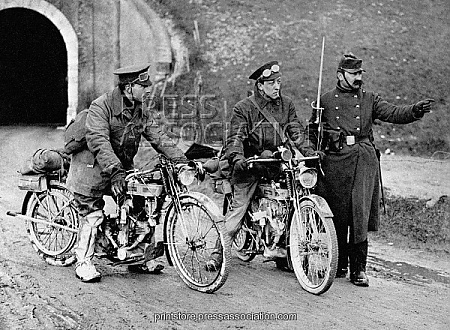 They built their first motorcycle between 1902 and 1904 and in World War One they produced over 70,000 motorcycles for military use. 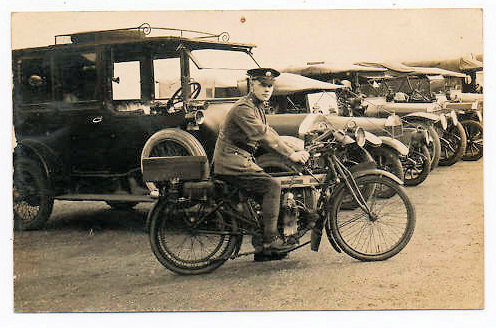 Indeed, pictures show the Douglas used in many operations, from the early encounters in Mons through to the Armistice in France. 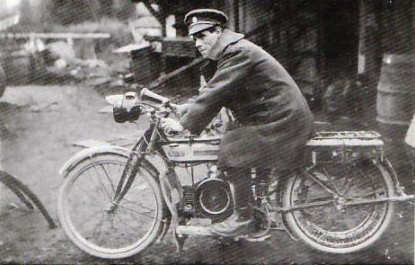 Contemporary photographs show the motorcycle at Gallipoli beach and from Africa to Mespotomia the British and Empire armies used the motorcycle to communicate. 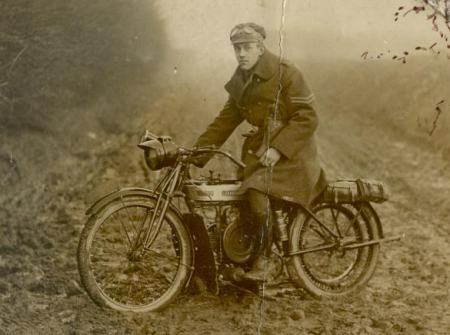 The motorcycle was used by all of the Allied forces, particularly the British. 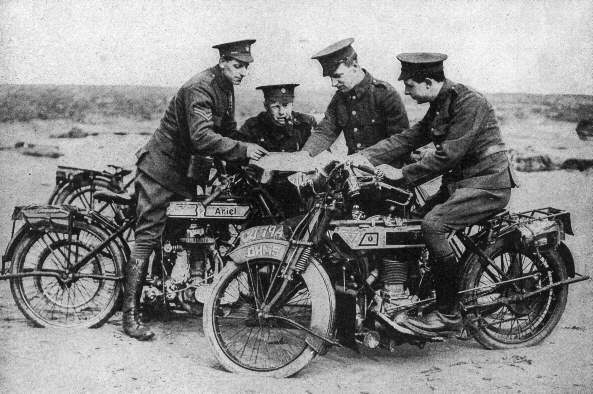 The motorcycle saw service with the army, navy and fledgling Royal Flying Corps, within the army it was used extensively by the Army Service Corps, Royal Engineers, Royal Artillery as well as individual regiments and it was widely used by Staff as a communications vehicle. 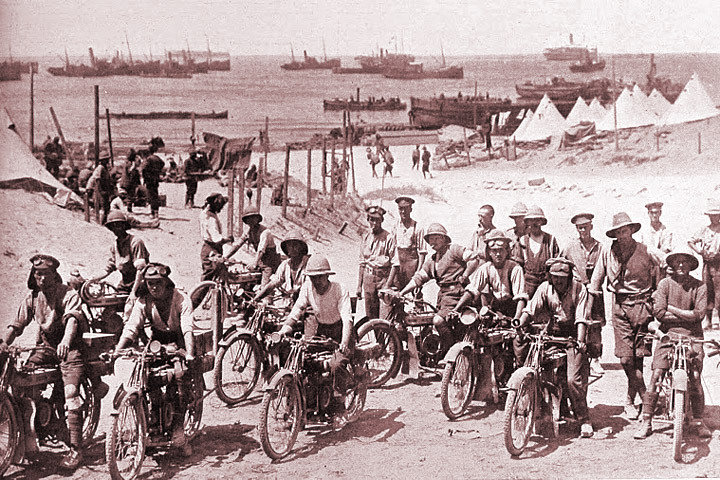 Without doubt my favourite image of the Douglas, this picture of Gallipoli beach not only shows the vast array of motorbikes used in theatre, but the irregular uniforms worn at that stage. 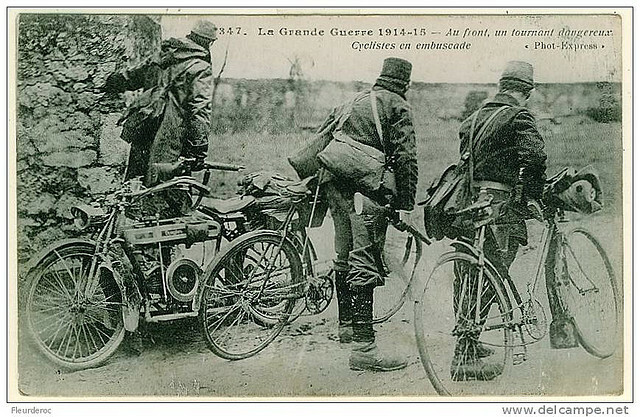 This image might prove inspiration for a future release! Kit TW54E01 contains a number of small parts, before you begin I suggest making yourself familiar with all of the parts included in the box. Once you open your box you will see that there are five bags of resin parts plus bags containing wire, decals and photo etch wheel spokes. Before beginning lets run through the individual elements. There are five bags of resin parts in each kit, these contain 23 separate parts for each motorcycle, the image below shows all 23 parts. 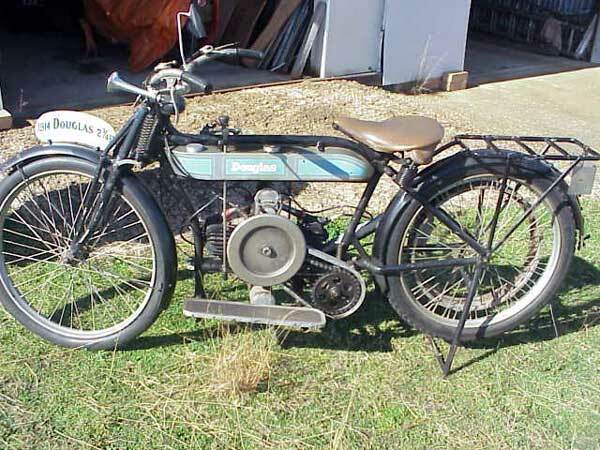 I would advise checking each of the parts against this image and also the instructions included in the box itself. It is important to take care when working with resin. Always work in a well ventilated room and where possible wear a mask when cutting resin. Take all necessary precautions when cutting and take care when using sharp blades. I think at this point it is worth checking the parts, ensuring that they are all there and that they are in good condition. A set of decals is included in the kit. 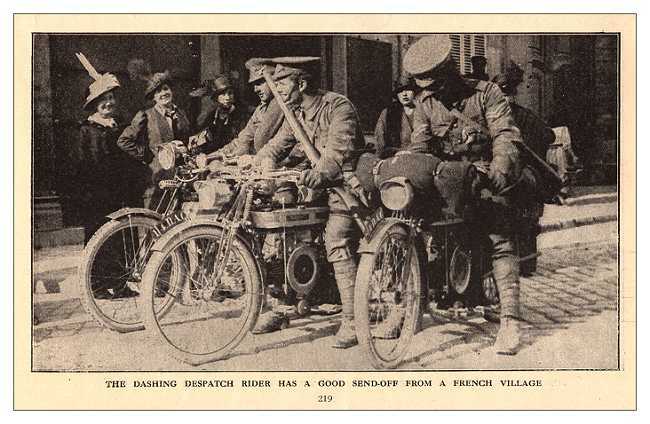 The bike is intended as an early-war version, so we have included the number plates. Images of the time show some with plates and some without. 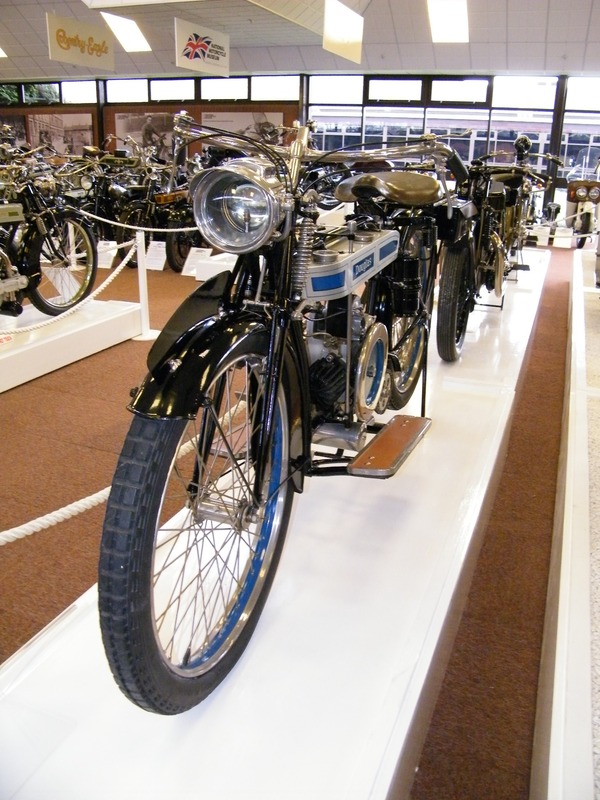 If you wish to build the bike without then the number plates can easily be removed and, of course, you will not require the number plate decals. 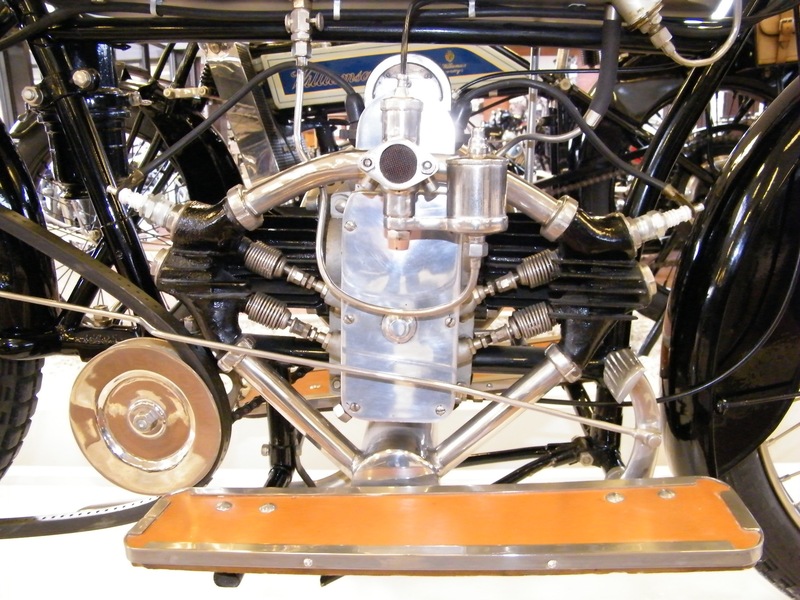 Below you will find a photo gallery that is a step by step build of the bike. The photo etch spokes should be fitted to the wheels BEFORE mounting on to the bike. recommend these models highly enough. 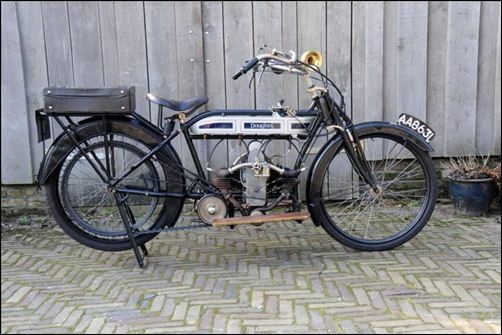 Absolutely superb detail, beautifully presented, very reasonably priced. I will be back for more. Don’t bu44er them up, Rob !